Six extracts from the recently released Bleed For This DVD. Boxing drama Bleed For This, the true story of boxer Vinny Pazienza (Miles Teller) is now available on all UK home entertainment platforms. Take a sneak peek at six deleted scenes from the blu-ray/DVD below. 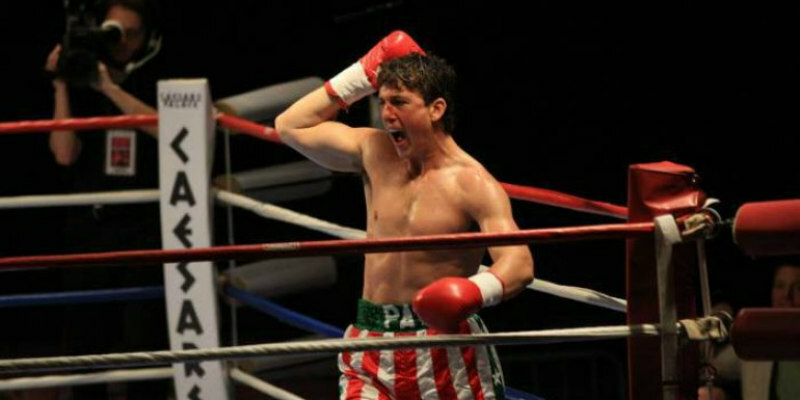 Featuring a gripping central performance from the increasingly eye-catching Miles Teller (Whiplash, War Dogs), BLEED FOR THIS follows boxing prodigy Vinny Pazienza’s soaring rise to stardom and two world-title fights. Then, at the top of his game, Vinny is involved in a near-fatal car accident that leaves him on the brink of paralysis, as doctors tell him he may never walk again will have to hang up his gloves forever. Against all odds and doctor's orders, renowned trainer Kevin Rooney (Aaron Eckhart; The Dark Knight, Sully) helps Vinny return to the ring just a year after the accident to compete in what could be the last fight of his life. Marking the return of writer/director Ben Younger (Prime, Boiler Room), with his first film in 11 years, and boasting an impressive supporting cast including Ciarán Hinds (TV’s Game of Thrones, Silence), Ted Levine (Shutter Island, American Gangster) and Katey Sagal (TV’s Sons of Anarchy), BLEED FOR THIS revisits the charms of one of cinemas most beloved and timeless genres, channelling the true spirit of the underdog story with immense conviction. A knockout for boxing and movie fans alike!